BMW already kicked off the teasing campaign for the new M8 with a few photos of the car wrapped tightly in camo. The shots were released earlier this month and with them a couple of interesting tidbits about the car. The Bavarians casuall mentioned that the V8 under its hood might develop more than 600 HP’ leading everyone on a wild goose chase, trying to figure out just how much more that’s going to be. Now, they continue their teasing with a short video of the car going round the Estoril track in Portugal. That’s where we went for the unveiling and first tests with the BMW M850i xDrive and it is the perfect place to test high performance vehicles. The Portuguese track, otherwise also known as Autodromo Fernanda Pires da Silva, is 4.182 kilometers (2.599 miles) long and has 13 turns. Its layout allows both high velocities to be reaches on the long straight as well as testing of the suspension setup in the bends. It’s quite a good place to put a car to the test. 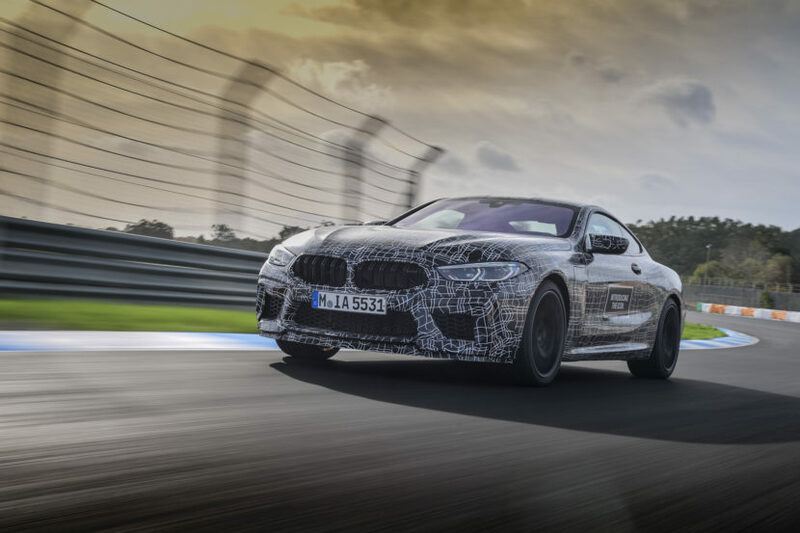 With the BMW M8, the M division will be looking to combine ultimate luxury with its sporty genes and that’s going to be a tricky mix to get right. Other manufacturers have tried as well and failed. We have the Bentley Continental GT to look at to realize that these grand tourers aren’t usually small or light, leading to disappointing results on the track. Nevertheless, BMW is going to give it a go and the signs are pretty positive already if we judge things by the footage below. That’s because this thing looks fast as hell. Not only that but the exhaust sounds rather interesting as well, with a different note compared to the more ‘pedestrian’ F90 M5 for example. 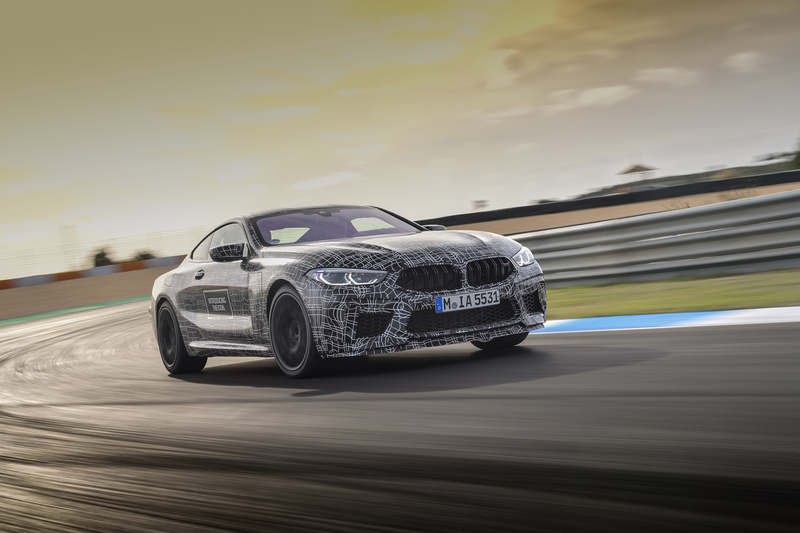 The new M8 will also come with M xDrive and since it’s most likely to be lighter and more powerful than the M5, it will probably be the most desirable M car in the line-up when it arrives. The unveil is scheduled for Spring 2019, followed by the market introduction a few months later. Next post VIDEO: Can this tuned BMW M550d make you forget the M5?